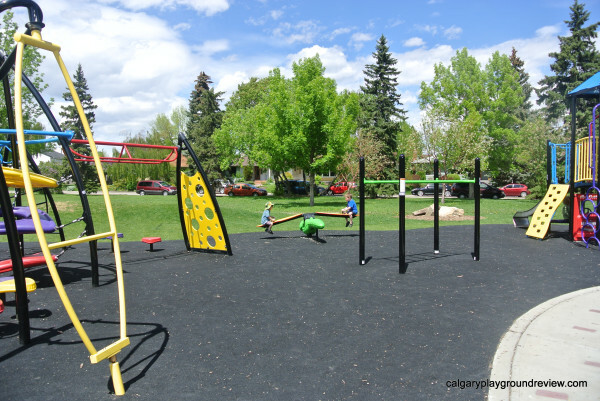 Shade: Pretty good in the park overall, but most of the trees right next to the playground are still young. 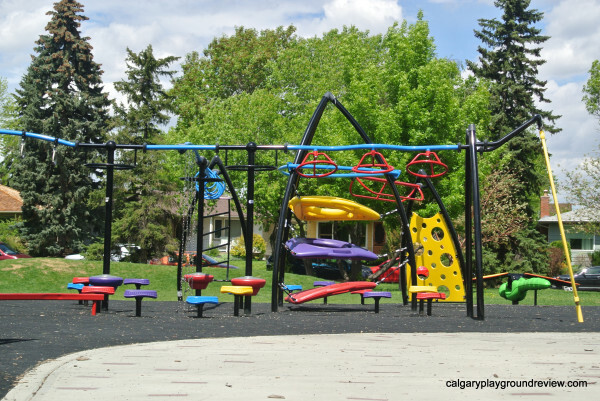 The playground itself provides some descent shade and there is a covered picnic area. 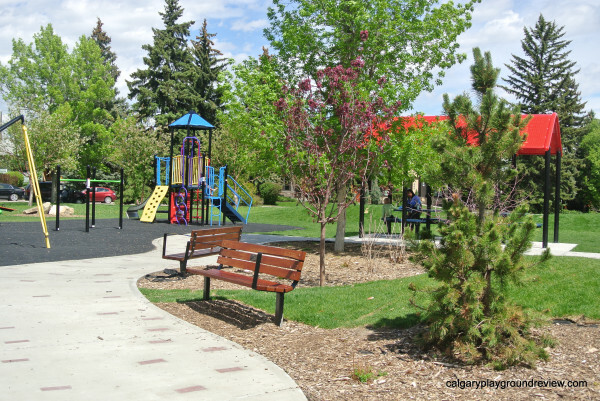 Surrounding park area: There is a nice large grassy area and a baseball diamond on the far side of the park. 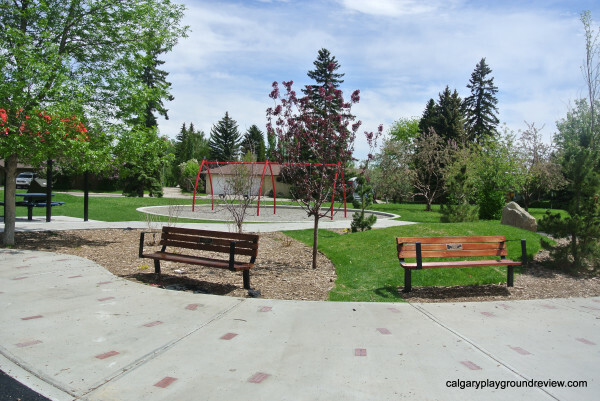 Seating: There are a couple of benches, two sets of Adirondack chairs and two picnic tables. 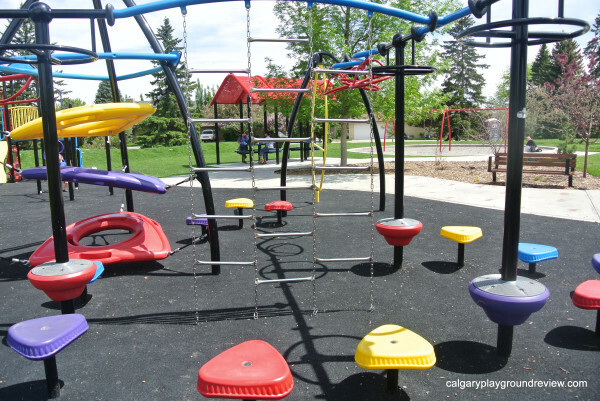 Accessibility: The flooring under all but the swings are accessible. 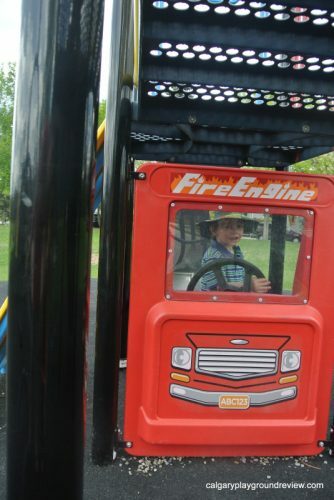 The firetruck on the preschool climber is accessible from ground level. 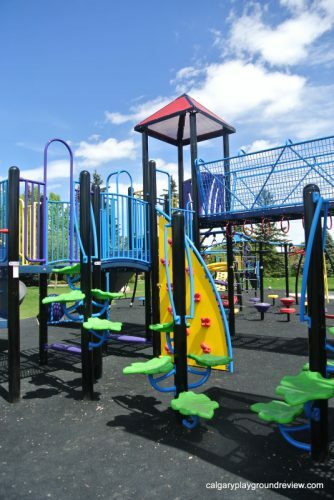 Features: Large web climber; Large school-aged climber with slides and catwalk; preschool climber with side and firetruck panel; dragon fly 2-seater bouncer; balance beam; parallel bars; 4 swings (2 baby). 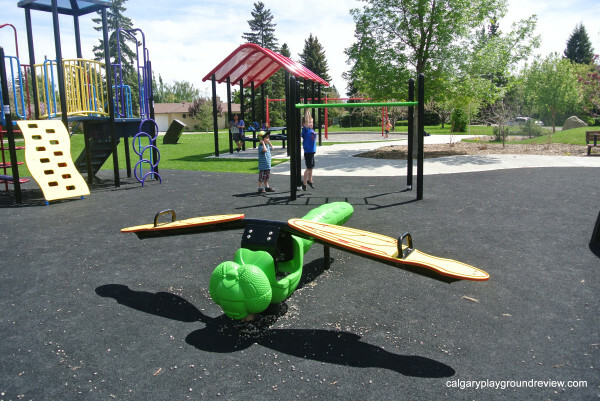 This playground was newly built last fall and I have had more requests to review this playground than any other playground to date. 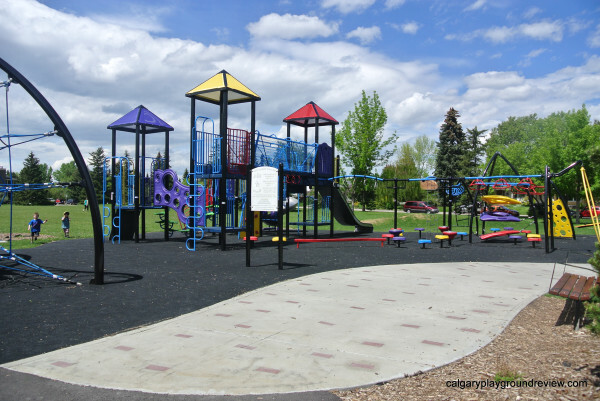 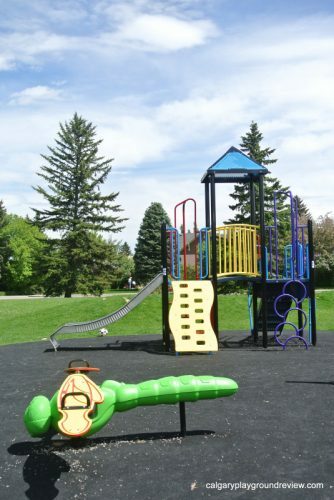 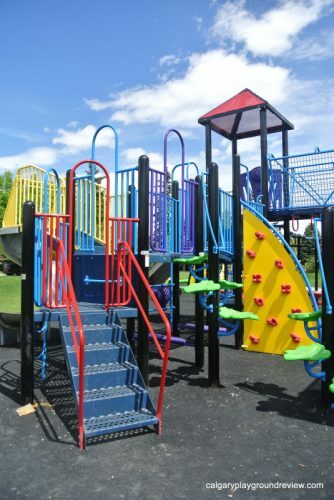 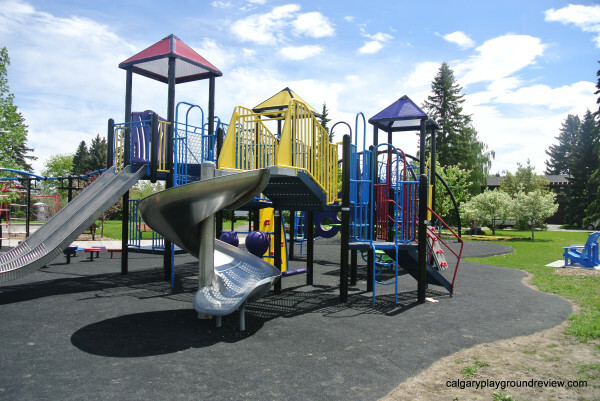 The equipment at this playground is plentiful and bright, but what really makes this playground stand out is the attention paid to the park area surrounding the playground. There are small hills, large rocks, pathways and hills making this more than just a playground. 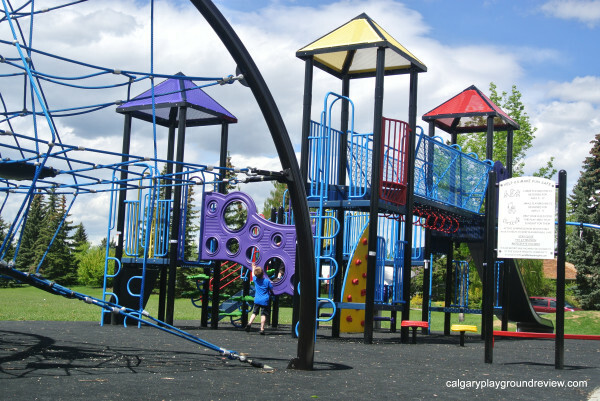 It’s a beautiful space that parents and grandparents will want to spend time in and provides additional things for the kids to do too. 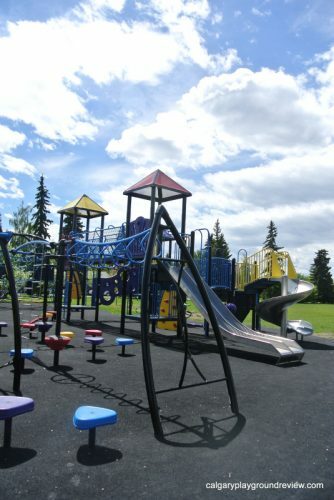 I met up with a couple others moms and their kids to play at this park, and the kids spent just as much time running around and playing on the hills as they did on the equipment itself. 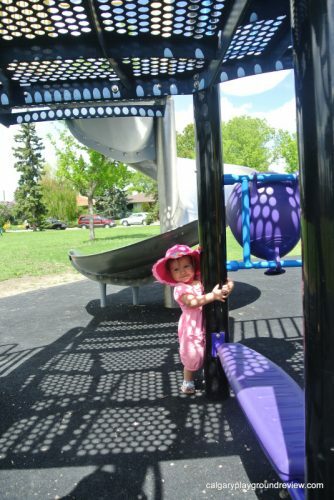 The accessible flooring is great for little ones like Nicole who are learning to walk or anyone unsteady on their feet. 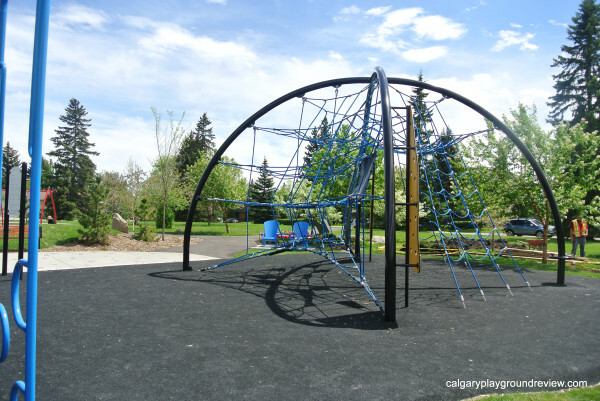 Older kids will find a lot to challenge themselves, like the huge web and will not bore easily. 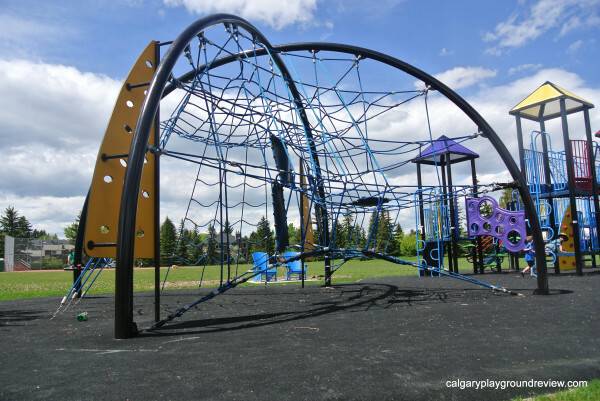 If you are in the area or looking for a new playground to try out, I highly recommend checking this one out this summer. 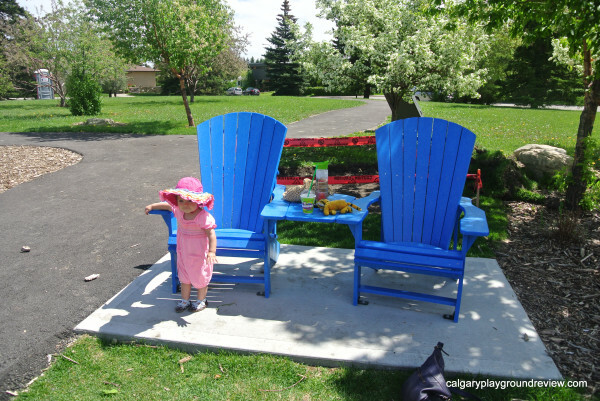 Agree – it was fantastic!